Does the idea of reciting your vows in a dream location surrounded by your closest friends and family sound like the perfect wedding? A destination wedding may be exactly what you’re looking for! 24 percent of marriages are destination weddings and it’s easy to understand why. A destination wedding is not only a romantic and special experience, it’s also a lot of fun! Over the years, I’ve photographed hundreds of destination weddings. I understand what goes into planning these events and how to make them successful. If you’re thinking about planning a destination wedding, use this simple DIY guide to help you prepare for the big day. Look at your top destination choices and find out what venues are available in the area. Even if you aren’t interested in a wedding package, talk to the venue’s coordinator to find out your options. Make sure to ask about the high and low season in the area so you can plan accordingly. Once you know your venue capacity, create your guest list. This will likely be smaller than a traditional wedding list. Attending a destination wedding is fun for everyone, but it’s also a big time and money commitment. Remember this when you send invites, so you aren’t offended if some friends and family can’t make it. Your wedding photos are one of the most important parts of your wedding. Your photographer will capture the emotions of the big day and help you preserve the beauty of your wedding forever. Wedding photographers book up quickly-- especially in popular wedding destination areas. Spend time researching photographers, and plan to book the one you choose at least 10 months before your big day. Florist-- Decide on bouquets, boutonnieres, ceremony flowers, and reception centerpieces. Caterer-- What kind of food do you want to serve? Will it be seated or buffet style? Videographer-- Decide if you want a wedding video and look at vendors in the local area. Your photographer may have some great recommendations. Depending on the wedding dress you choose, it can take months for it to arrive. Then you still need to have it fitted. Don’t let this part of your wedding cause you any stress. Plan ahead and purchase your gown at least 9 months ahead of time. Start looking at tickets to watch for the best flight deals. Though it may be tempting to wait until the last minute to try and get a better deal, be careful! You don’t want to get down to the wire and be unable to find a flight. It’s also time to book your lodging. If you’re getting married in a hotel, reserve a block of rooms for your guests. If not, look at hotels or other lodging options in the area. You should plan to have all this information nailed down by the time you send out your invitations. If you opted for a wedding package from a hotel, your decorations may be taken care of. However, if you are going for a complete DIY wedding, take some time to think about your plan. Are you purchasing or making decorative items at home? How will you transport them? What’s the cost of transporting them? What will you do with the decoration after your wedding? Can you go through a party store or your hotel to rent decor items instead? As you plan for your destination wedding, pay special attention to your guests. It’s a big deal for these friends and family to take time out of their busy schedules to attend your destination wedding. So take time to ensure they have an enjoyable experience. Look into nearby group activities you can recommend to your guests. You may even want to reserve or book these activities in advance. You should also research local restaurants or other amenities and create a wedding guest guide. Every wedding timeline will be different. And remember, it’s okay if you get a little off-schedule on your wedding day. Here are some great examples to help you plan. It’s important to provide your photographer with a wedding day shot list-- particularly when it comes to family photos. Talk to your photographer about what type of list is needed. A good wedding photographer is sure to get all the important wedding day shots. But if there’s a specific family grouping you want, let your photographer know. With everything else going on, it can be easy to overlook additional travel details for your honeymoon. Taking some time to confirm your plans will prevent any stress on the week of your wedding. You typically have to apply for a marriage license in the destination you’re visiting. However, if you’re getting married outside of the United States, this process may be a bit more complicated. Review and understand the requirements ahead of time so you know what to do come the week of your wedding. Relax and Enjoy Your Wedding! Your wedding is a time to celebrate, stress-free! All your hard work and careful planning has paid off. Now it’s time to relax and enjoy this special time with your friends, family, and soon-to-be spouse. Planning a destination wedding certainly has its difficulties. In many ways though, it’s much easier than the traditional wedding planning process. Especially if you do it correctly. If you have questions about how to plan a destination wedding in Hawaii, give me a call at (808) 295-1166. I am a Hawaii destination wedding photographer and have been photographing weddings in Hawaii for many years. I understand the time and effort it takes to pull off a fabulous destination wedding. 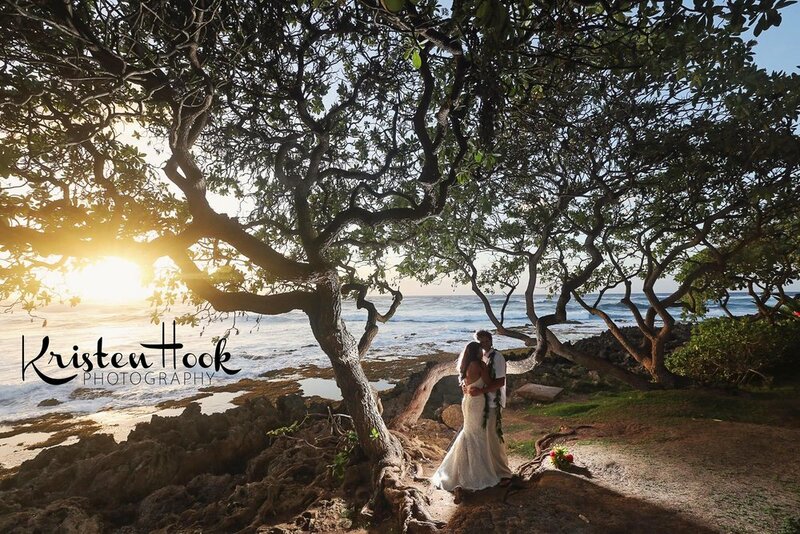 Looking for a photographer to capture your destination wedding in Hawaii? Contact me! I would love to learn more about your wedding and how we can partner together on your special day.